Dr. J. P. Singhvi, MBBS, MD(Medicine), DM (Neurology), having an illustrious experience of 16 years, is a Senior Consultant – Neurology at Fortis Hospital, Mohali. 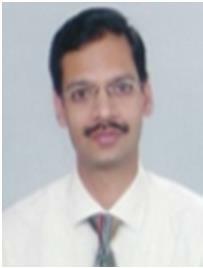 Conjointly, he is working as a Sr. Consultant- Neurology at INSCOL Hospital, Chandigarh. Dr. Singhvi completed his basic medical studies (MBBS) and post graduation in medicine from M.R Medical College, Gulbarga. Subsequently, he worked as a registrar in Critical Care Unit at H. N. Hospital, Mumbai. Succeedingly, he accomplished super specialization(DM) in Neurology from the prestigious PGIMER, Chandigarh. Thereafter, he joined INSCOL Hospital, Chandigarh and served as a Consultant Neurologist over there. To his credits, he is the invited chairperson at a number of prestigious international & national conferences. He has contributed number of articles in leading journals, including the Indian Journal of Neurology on various disorders such as, intractable epilepsy, ataxia, Critical Illness Neuropathy, acute flaccid quadriplegia in sjogren’s syndrome, thrombolysis in acute stroke. Adding more to his achievements, he pioneered stroke services & was the first one to give the clot bursting drug t-PA successfully in the region. In the year 2004, Dr. Singhvi started sleep disorder lab in Fortis Hospital.